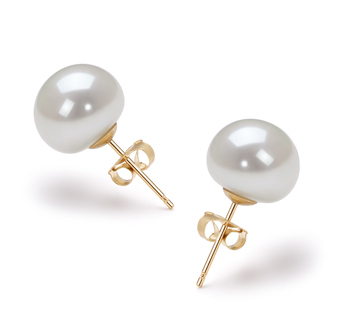 The soft and natural comfort of white Japanese Akoya Pearl eases the mind of one who takes the world by storm. 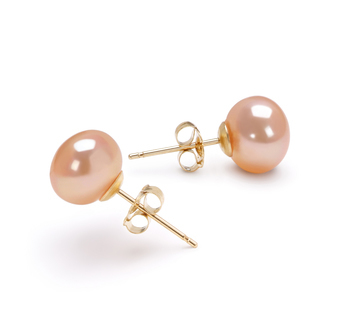 The near perfection noted in this set absolutely breathtaking and a magnificent display of superior craftsmanship. The complete spread of AAA indicates only the best of the best in shape and luster. Edith White 7-8mm AA Quality Japanese Akoya 925 Sterling Silver Pearl Earring Set represents the desires of every woman who strives for the pearl of a lifetime, a sensual pearl that calls her name each time she passes her armoire. The 7-8mm size takes everyone, place and wardrobes into account and approves them universally for a great fit and compassion in a suit partner. 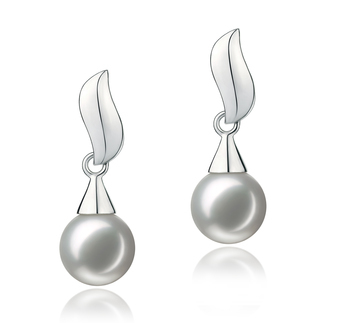 The shape and luster of the White Pearl works well with the .925 sterling silver’s descending charm. 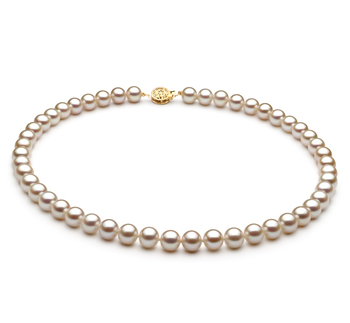 The energetic and brilliant shine of the sterling silver radiates off the AAA luster of each pearl and mixes with shimmering delight of the lusters creations. 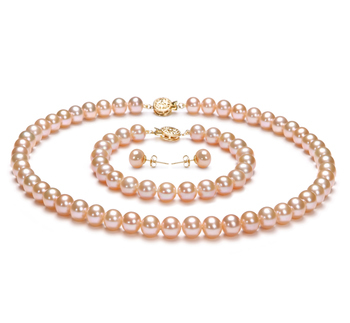 The AAA sphere shape plays a classy role in capturing the glimmering rays and bringing their glow throughout the surface of the pearl for all to see its glory in all forms. 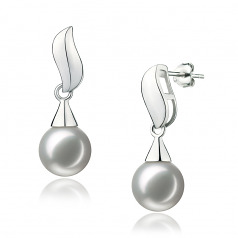 The Edith White 7-8mm AA Quality Japanese Akoya 925 Sterling Silver Pearl Earring Set is the one you have sitting on your bedside table because it never gets put away, its frequent use doesn’t allow for a hidden treasure.